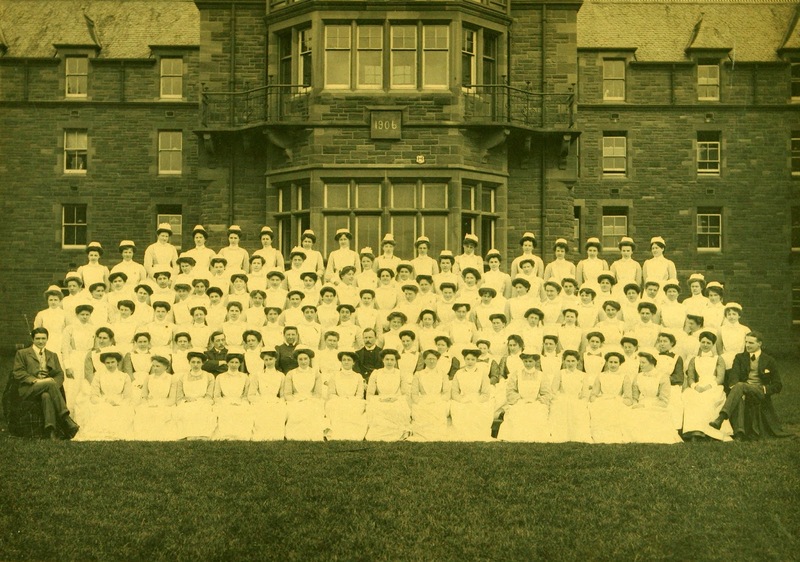 Lothian Health Services Archive: Archive to Z! This week, Archivist Louise has been joining the twenty-first century with a spot of tweeting! The next couple of years will be busy ones for archive professionals in Scotland. Our national professional association, the Archives and Records Association, is holding its conference in Glasgow later this year, and in 2019 Edinburgh will welcome archive professionals from across the globe when the International Council on Archives arrive for their annual gathering. 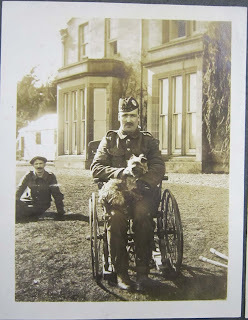 Eventual Chair of Pathology at the University of Edinburgh, Drennan pioneered the use of boric acid and bleaching powder in the treatment of wounds in the First World War. We have a sizeable personal and medical collection from him, fascinating in some of its detail and connections. 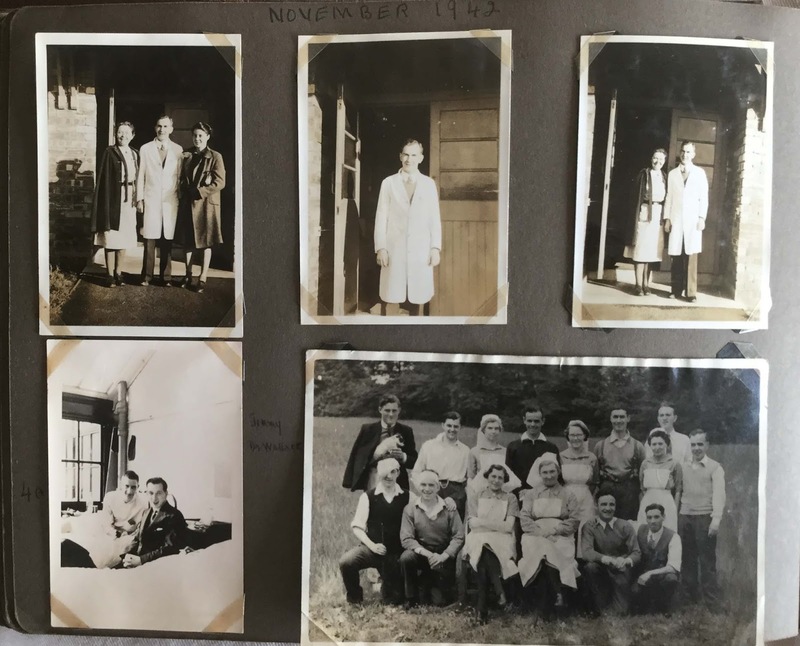 If you want to find out more about Drennan, our former Access Officer, Alice, wrote a fascinating blog about him here. 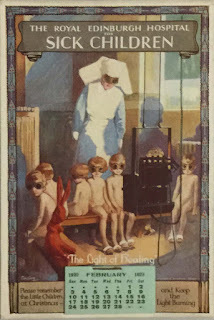 For me, the postcard also shows the accidental pieces of pop culture that are so often preserved in archives - part of what makes delving into personal collections like this such a surprise. 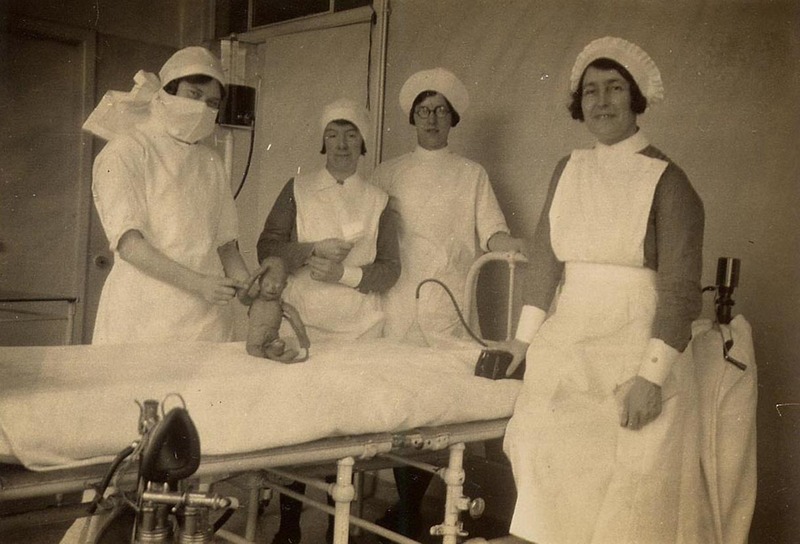 Jean's aunt, nursing sister Isabella Lamont, also worked at Bangour in the Edinburgh War Hospital in the First World War - their collections were donated to us together. Since we don't hold records of forces' patients on the whole, albums like this give us a precious glimpse into military hospital life. Expect to hear more about Second World War military medicine as the 80th anniversary comes up in 2019. 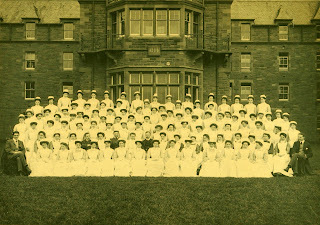 City Hospital was opened in 1903 as part of the Edinburgh scheme of tuberculosis, pioneered by Sir Robert Philip from the 1880s. It replaced the previous fever hospital complex in High School Yards. As the threat of infectious diseases waned with advances in public health and treatment, City began to widen its remit to take in other specialisms, such as cardio-thoracic surgery and ear nose and throat care. More recently, City made history once more in its groundbreaking wards treating HIV patients, particularly those affected by intravenous drug use. Remember to check our Twitter feed every Monday for the rest of the alphabet! In the meantime, here are some images to come. Can you guess what letters they will be under (so no captions for these! )?